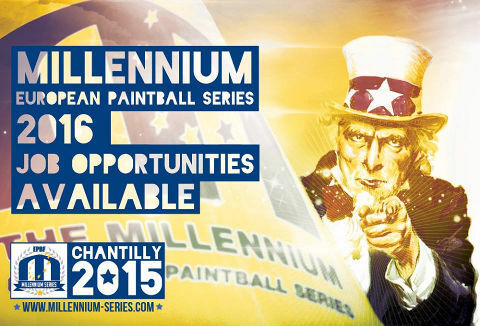 The Millennium Paintball Series are looking for Team Leaders for the 2016 season. The ability to lead a small team in the day to day activities required to prepare the area for the event. Working day starts 7.30am with a morning meeting. Working day ends 6.30pm followed by an end of day meeting. Some longer working days may be required. Days needed: Monday preceding the event until the Thursday 12.00pm approx. Accommodation and lunch will be provided. May ideally suit a team player who is already planning to play the events?